The deadline for applications for this summer is April 1st, 2019, 9:00am (German time: Central European Standard Time)! 1. 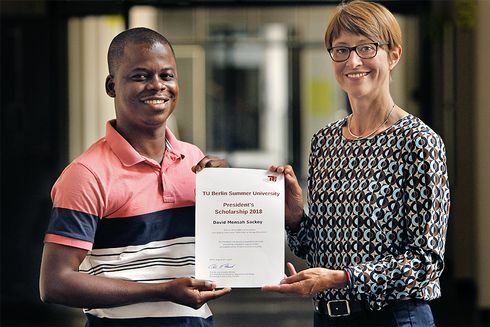 Living expenses support of €1000, supported by the DAAD (multiple scholarships available). IMPORTANT: All participants who are awarded a scholarship under items (1) or (2) above, will still be required to pay the course fees on their own. Please check the course details on our website for fee information. ** PLEASE NOTE** Applications for scholarships for Summer 2019 have now closed. Please check our list below for other potential sources of funding, or try again next year.